What is BOMA California government affairs all about? BOMA California was created in 1988 in an effort to have the industry speak with one unified voice to policymakers in a cost efficient, coordinated and consistent manner. 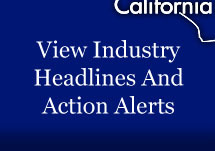 BOMA California acts swiftly and decisively on behalf of the commercial real estate industry. The association aggressively represents the industry and actively shapes public policy in a broad range of venues. From the Governor and legislators in the State Capitol, to energy issues before the CPUC and new code requirements before the Building Standards Commission, BOMA California exists to affect change assure policymakers understand the impacts of their actions. BOMA California gives commercial real estate a platform and acts as a key communication link between our industry and a host of state policymakers and numerous state agencies. Concurrently, BOMA California’s Board of Directors identifies the most important issues facing our industry at any given time, and uses industry experts to help prioritize and direct the association’s activity. What Does BOMA California Do For the Industry? Legislation: BOMA California tracks and directly engages legislators on legislation which would have significant impact our members. See below for a list of recent legislative issues. Energy: BOMA California is the only organization representing the commercial real estate industry full-time in front of key energy regulatory agencies. Our efforts before the California Public Utilities Commission (CPUC) led to significant rate reductions in Northern and Southern California, a historic agreement to allow owners to submeter tenants’ electrical usage, and stopped mandatory Demand Reduction proposals such as Critical Peak Pricing. It is estimated that these efforts directly saved members upwards of $43M in Northern California alone on their energy bills. Regulatory/Taxation: BOMA California protects commercial property owners’ interests on a wide variety of issues including AB 32/Greenhouse Gas regualtions, forced access by telecommunications companies, energy deregulation, mandatory statewide fire sprinkler retrofit requirements, split roll property taxation, toxic mold liability, extreme new disabled access requirements, and much, much more. BOMA California is directly engaging in the process that will produce a set of “green” building codes, making California the first state in the nation to adopt such standards.